Fathy, a male cupping therapist from Madina Al-Monawarah, Saudi Arabia. I graduated in 1992 from Cairo University with two Bachelors that I took concurrently; ( College of science, human anatomy and physiology, Faculty of medicine as well. I used to work as ICU resident then, till int. medicine diploma application. I came to KSA 10 years ago, starting soon to teach in the nursing institute, beside my clinical work. Then a pioneer cupper, sheikh Ahmed Hefney visited me as a part of “Daawa”, talking to me for the first time in my life about: ” Hijama!!”.. Sheikh Ahmad is the trainer of most of the middle east practitioners. Actually he was very decent, patient with me, enthusiastic as well. With his advice and other professors esp. Prof. Yehia Khawaji, Prof. Abu Bakr El-Tibiqey, We could arrange for the first course on medical hijama ( Please see the link at the end of the article ). And in this way the first medical center for wet cupping ” Hijama” in Al Madinah Al Monawarah in the recent times started, called: Madina Center For safe Cupping . After that many modern hijama centers ensued in the city hospitals to replace the traditional practitioners. 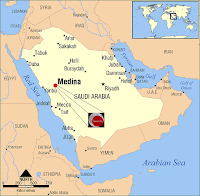 People of Madinah remember all hadith of Mohammad ( PBUH ), and how he did deal with hijama, they also have a special concern for the correct hadith, of Abdullah Ibn Omar in which meaning, rasoulullah mentioned that: ” Hijama on waking without having eaten anything more ideal, and includes cure and “Barakat”, increasing wisdom with information keeping, and increases “Hafez” memory. With “Baraka” from Allah, have hijama done to you, on 17th, 19th and 21st, not to have blood excited inside a man to kill him”..
People of Madinah seek hijama to treat lethargy, all types of headache, migraine, back pain, sciatica, joint pain and weak vision. I find interest in treating neck pain, migraine, facial palsy, hypertension and bronchial asthma using hijama and Indian costus ( Coleus Forskolii ).. In the following link is a schedule for statistics of different diagnoses in two cupping centers that I initiated in Madinah from the files of 1000 selected cases over 5 yrs. Approximately, success rate was 70% in most of the cases: ( Please see the link at the end of article ). sunna sites ( between the shoulders, behand the ears, and over the posterior fontanelle “Du20”)). From TCM, I added two sites on both sides above the eyebrows and beside the eyes. Fulfilling an infection control procedure with disposable tools, I did 0.5-0.8 mm superficial scratches parallel to the skin crease and/or the meridians in the concerned point. When I just finished the supraorbital points I got surprised with patient opening his eyes!! He closed them again. He did not believe it. ” I saw you , please open your eyes”, I said. Then a permanent cure was obtained..
Finishing the session with everybody happy.. Thanks to Allah. Glucose tolerance, BP control, became better after hijama as well. As a general preventative therapy, Rasoulullah ( PBUH ) mentioned that in correct (Saheeh) hadith, after he himself had hijama at the front of the head and between the shoulders. He then said that anybody who gets rid of that blood would not need a remedy for a disease. alth maintenance, upto 65 yrs old , provided that there is no anemia of bleeding disorder.. In the hot equatorial countries you may double that rate. A tradition in Madina here is to have it once yearly for prophylaxis. From correct sunna, it is not known anyway that Rasolullah suggested one-year interval, nor anybody of “sahabah” had it more frequentlly that one month interval. For me myself I have hijama done every 6 months by a colleague physician at home. – What is the status and overall prevalance of hijama therapy in Saudi Arabia? Is it available in hospitals and clinics as a valid alternative / sunnah therapy? 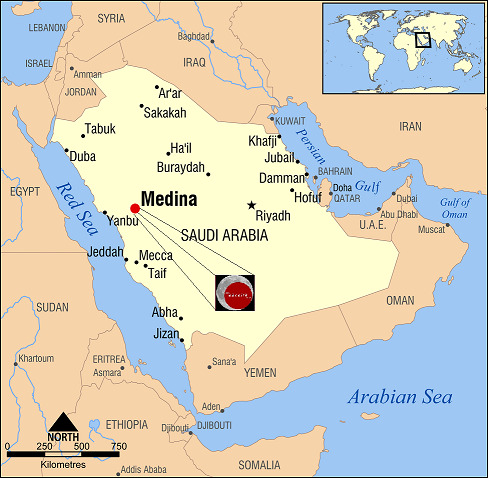 Hijama status in KSA is favorable, as KSA is the castle of Islam, and hijama is a “sunnah”. High prevalence is there in Madinah and Makka, but still Madinah is ranking 1st. Here we have a lot of infection-controlled centers with non-medical career practitioners who work under governorate supervision. Inshallah, in the near future we will see hijama in the clinics, according to the good news we hear from friends in the ministry of health. A research medical Islamic cupping clinic is working now in Tibah University. From 10 years, I stayed 5 years practicing both medicine and hijama in 2 centers of Madinah. Now regulations here are more strict for health professions to wait till Ministry of Health permit us to do it. So if a patient needs my service I have to see him at his home. I wish that hijama takes the position it deserves inside the hospitals, for sure it will save pain, time and money for the patients and community. I saw that a lot of times, read on Ovid evidence based articles, I expect every human being will live a happy life, suffer less if he if he knew hijama. FEATURED HIJAMA THERAPIST:Dr. Emad Ahmed Fathy. Our thanks to Dr Emad Ahmed Fathy for sharing the above post. If you have any questions or want to leave some feedback, then please do so via a comment* below.